Every new baby needs a safe and secure place for changing and dressing. 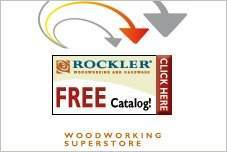 Build a dresser that fits the bill with free baby changing table plans. Build a table from the ground up, or alter an existing dresser with safety rails and pad. New parents are often short on cash but big on enthusiasm. 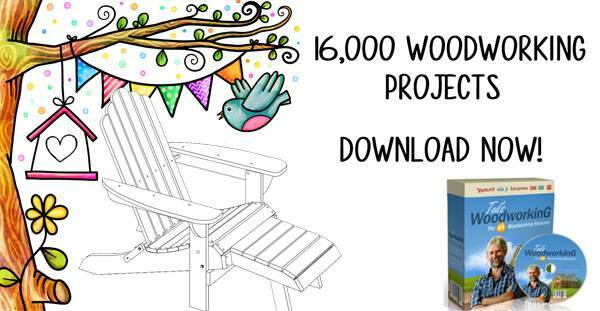 Save money by building your own nursery furniture with free baby changing table plans. There are also plans to make a functional, sturdy high chair that will stand up to generations of use. 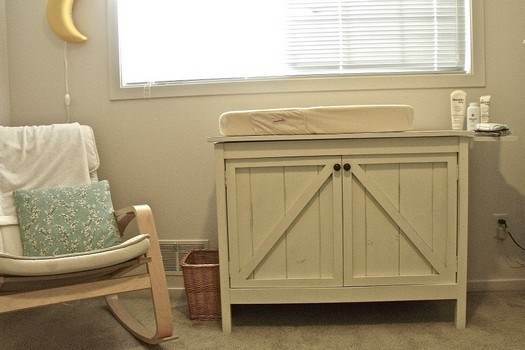 Build a changing table that blends with your decor. Customize your table to a comfortable height and size that fits your space. Add a colorful changing pad that complements the colors of your room and paint or stain your new piece with enamel or urethane for a durable and practical finish. 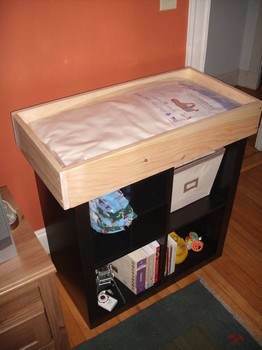 Build a changing table that becomes a chest of drawers once your baby gets older. 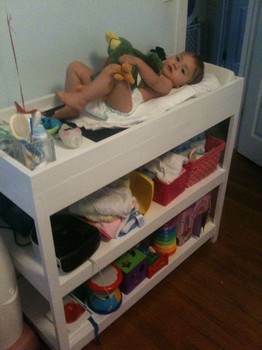 Here is a list of need supplies plus eight steps of instructions to help you build this attractive baby changing table. 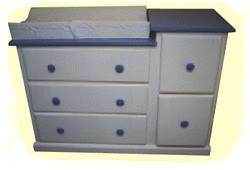 Easy to follow changing table plans that has a country inspired design plus ample storage and a pull-out work area. 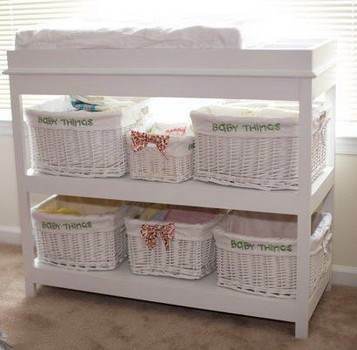 Here is a plan for building a baby's changing table with two lower shelves for storing diapers, baby powder, lotions and more. 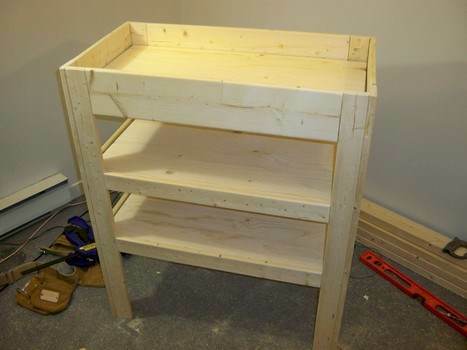 Here is a project for making a wooden changing tray that is designed to sit on top of a bookcase. 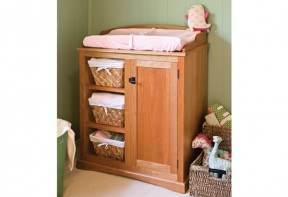 This elegant changing table has a removable diaper changing area, three basket bins and a cabinet for lots of storage. Build a changing table that will give baby plenty of room to stretch out, plus has two shelves underneath for ample storage of baby items.